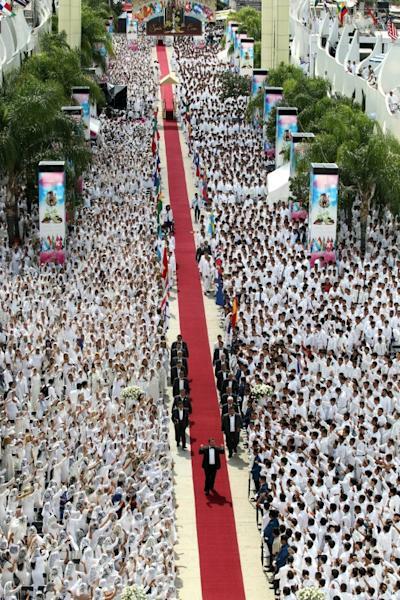 More than half a million members of a Mexican Pentecostal church called "The Light of the World" held a massive "holy supper" this week, one of the largest religious ceremonies in the world. Organizers said participants traveled from 57 countries on five continents to take part. The religious fervor reached maximum pitch on Tuesday night, with the celebration of the "holy supper" and the arrival of the church's leader, Nasson Joaquin Garcia, whose followers believe he is the last apostle of Jesus. Dressed in white from head to toe and separated into groups of men and women, attendees cheered, shouted and strained to touch Garcia as he arrived at the church's headquarters in Mexico's second city escorted by his "royal guard." 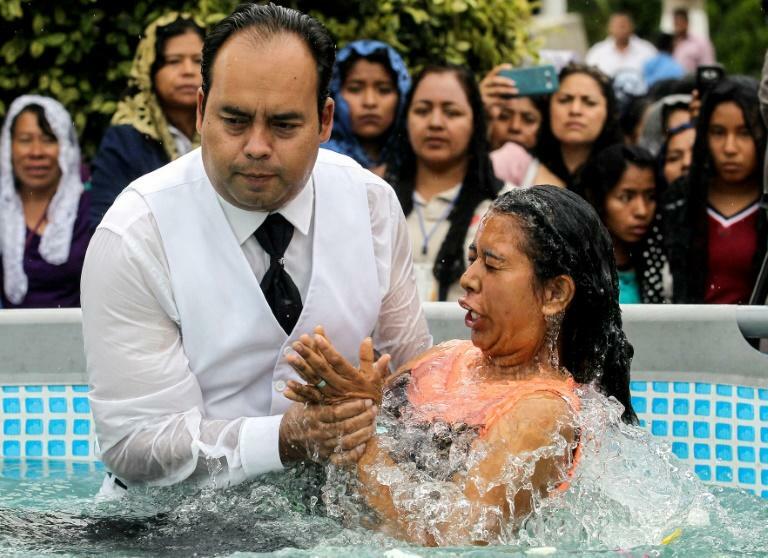 "To the brothers and sisters who came to congregate here, this (ceremony) represents life, because we are in communion with our God," church member Sarahi Carrillo told AFP. The church was founded in 1926 by Eusebio Joaquin Gonzalez, who claimed to have experienced a "divine revelation." It says it has 1.8 million members in Mexico and five million worldwide. 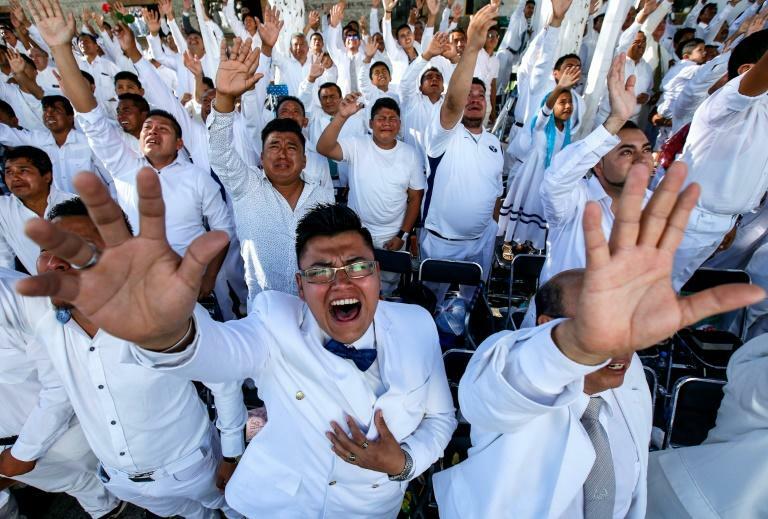 Leaders say it is the second-largest religion in Mexico after Catholicism, and expanding fast, with 22 percent growth per year.